Will it be Balayya vs Mahesh this Dasara? Fans of senior hero Balakrishna and Superstar Mahesh Babu are in for an exciting treat this coming Dasara festive season. 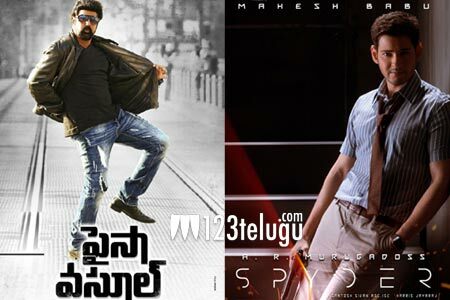 The ongoing movies of both​ these stars, Paisa Vasool and Spyder, are slated for a Dasara release, leading to an intense box-office clash. During the Facebook Live chat with Balayya’s fans yesterday, Puri Jagannadh confirmed that Paisa Vasool will be releasing on September 29. On the other hand, Mahesh had announced sometime back that Spyder will be released for Dasara, although he didn’t announce the exact date. It will be interesting to see if both the movies will hit the screens on the same day or if the makers will leave at least a few days gap to ensure better box-office prospects for their movies.